Kosta Kulundzic, 'Pipeline 3017,' center panel of triptych, oil on canvas. 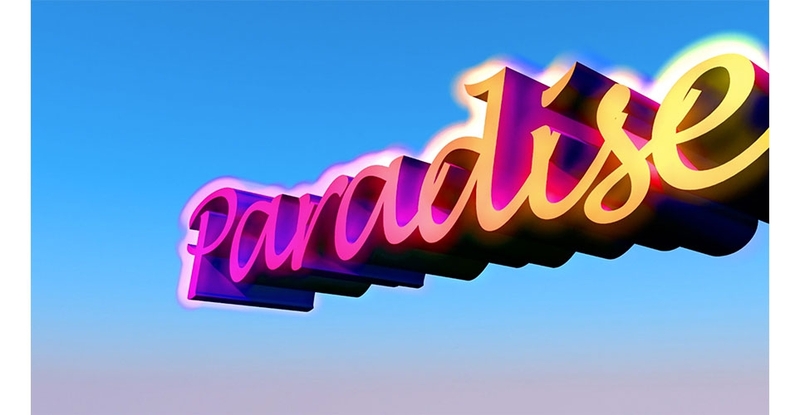 Matt Ching, 'Paradise', Still from 3D animation. 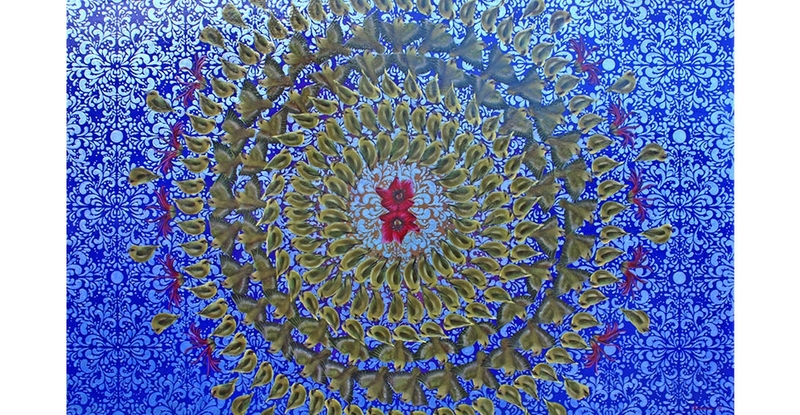 Melissa Chimera, 'Inheritance,' Haleakala, oil on canvas. 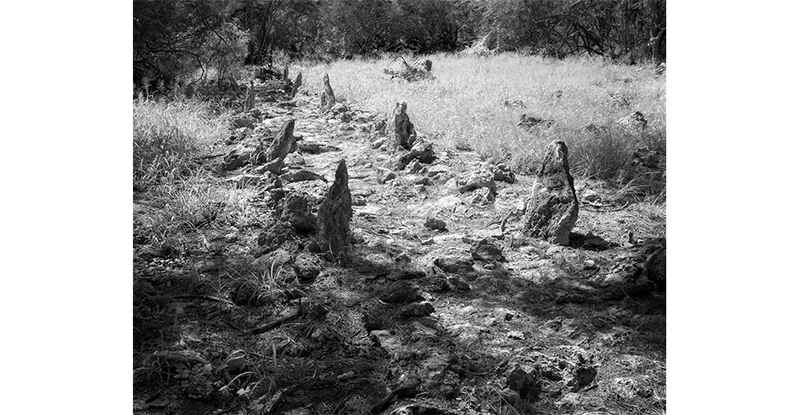 Jan Becket, 'The Land is the Sea’s: Ala, Kalaeloa,' Black and white photograph. Jennifer Goya, 'Ordnance Ordinance.' Still from single-channel video. Pu‘uhonua Society presents the fourth annual CONTACT exhibition titled 3017: Hawai‘i in a Thousand Years. CONTACT 3017 asks artists to take on the role of futurologists, dwelling in predictions and prophecies. Artist were asked to forecast the unknown, to imagine and hypothesize possible and probable (or impossible and improbable) futures in Hawai‘i and investigate the worldviews, ideologies, and myths that support them. Climate change and rising/falling sea levels, nationalism and decentralization of power, globalization and resource distribution, are just some of the many issues we face locally and globally. 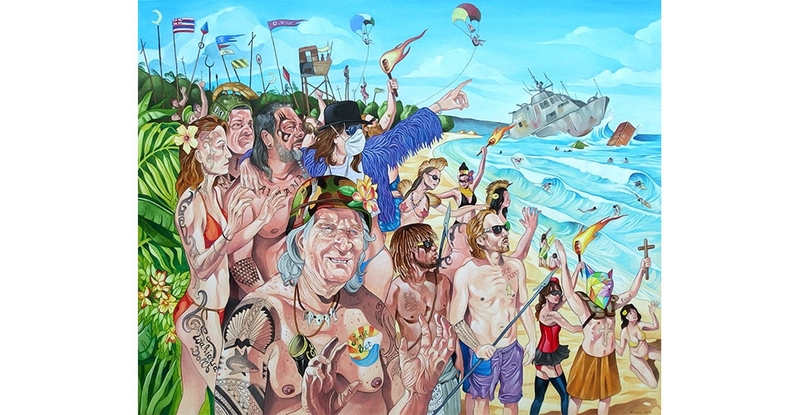 This year's juror is the art collective Paradise Cove. This exhibition is supported by Pu‘uhonua Society, Nā Mea Hawai‘i, and the Office of Hawaiian Affairs. The gallery is open daily from 10am to 7pm. All public programming is free. View artwork that investigates possible and improbable futures in the islands. Celebrate the here and now with music by Davey Shindig, food trucks, Shaka Tea, and ‘awa. Bring your own drinking cup and use your hands to eat with mindfulness for the future. No fooling! What can we do in the face of violent conflict, political corruption, and global ecological destruction? As responsible stewards, how must we respond to converging crises to ensure collective survival and continuity? Join us for a survivalist conversation with Future Primal author Dr. Louis G. Herman, voyager and educator Bonnie Kahapeʻa-Tanner, and artist Solomon Enos, moderated by Rechung Fujihara from the BoxJelly. A founding member of the Hawaiian Society of Law & Politics, Dr. Sai takes a look at the Hawaiian concept of “future,” or “ka wā ma hope,” which literally means “time of the past.” Hawaiians know the future by knowing to the past. Join Dr. Sai for a discussion on how, from a Hawaiian perspective, the practical value of history lends insight on probable futures. 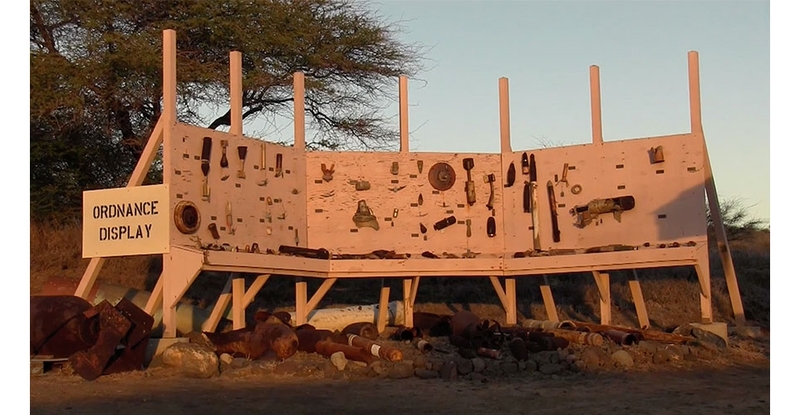 Immerse yourself in the built environment of the ‘ahupua‘a with artist, architect, and urban planner Sean Connelly. This multi-media workshop places participants in leadership roles in creating the possible futures in the community. Bassingthwaighte works on architecture and design for extreme environments and outer space, with a focus on the physical, social, and psychological needs of future scientists and astronauts. He will speak with visitors about his experience in the simulation and present parts of his doctoral research. Join the curators for a guided tour of the exhibition. Learn about the film here. What is agroforestry? Where did it come from and why is it important for Hawaiʻi’s future? It all starts with food—and we are not talking about mono-cropping. Several art installations, including two at Aupuni Place at Ward Warehouse, speak to the ethereal nature of a “future past" dream, to have diversity in our food sources. Join Scott McCoy of the not-for-profit organization [UN]cultivated Earth and artist Taiji Terasaki for a conversation on agroforestry and Terasaki’s CONTACT 3017 commission. Panelists include Jasper Wong, POW! WOW! Hawaii; Katherine Leilani Tuider, Honolulu Biennial Foundation; and Josh Tengan, CONTACT; moderated by Healoha Johnston, HoMA's curator of Arts of Hawai‘i.